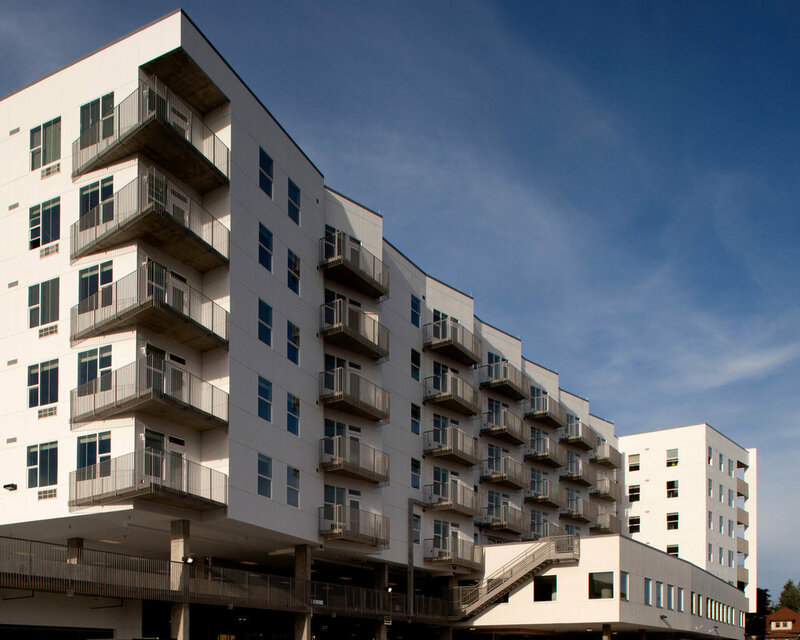 Avondale Apartments is a seven story mixed-use building containing 80 affordable multi-family housing units. It sits on a 36,707 sf site which is a part of 2.15 acres of Mile High Vista development. The Mile High Vista site was developed by three separate entities and houses Avondale Apartments, the new West Side Branch of the Denver Public Library and a commercial building. 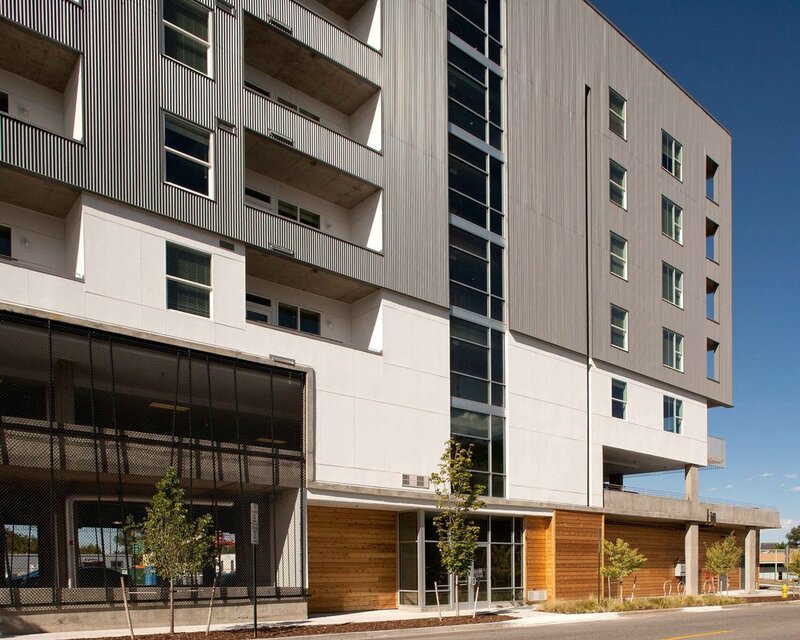 The building was oriented to take advantage of spectacular views of Downtown Denver as well as to provide solar shading and gain where appropriate. By working with building orientation, high exterior building skin performance and anticipated photovoltaic system at the roof, the building is very energy efficient. A drilled pier foundation, exposed concrete columns, and post-tensioned concrete slabs make both structural and aesthetic contributions to the building. 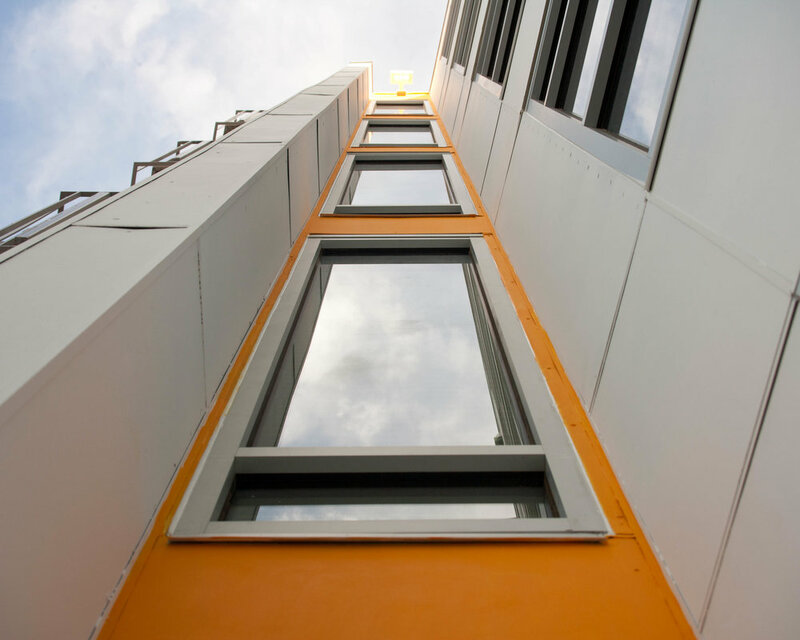 By contributing an innovative affordable housing solution to an underserved neighborhood, this building embodies the firm’s mission to develop successful communities that have a positive impact on both the lives of the residents and the neighborhood as a whole.